Please contact us if you wish to book a table for more than 9 people. 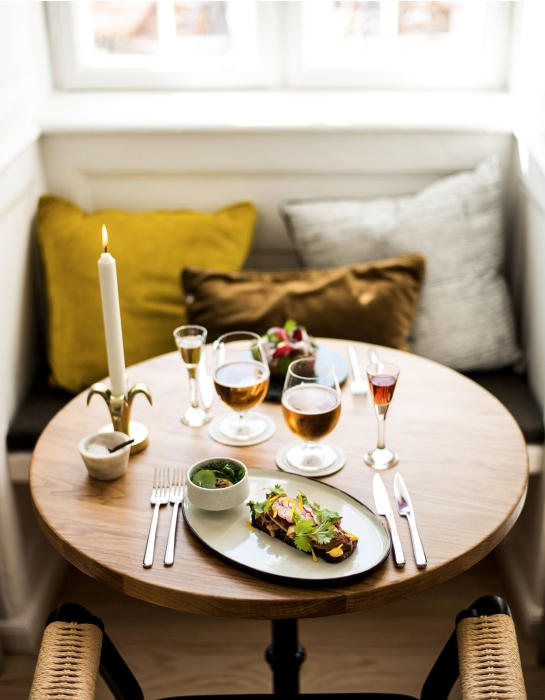 Email: selskaber@restaurantkompassset.dk. We look forward to hear from you. or if you have any requests or questions, please do not hesitate to call us at + 45 +45 44225222. Booking tables outside is unfortunately not possible, but if you wish to sit outside we will do our best to find a table for you when you arrive.